One of the simple ways I gave my daughter’s Fairy Garden bedroom dresser a facelift was by hand painting some new hardware for the drawers and doors. 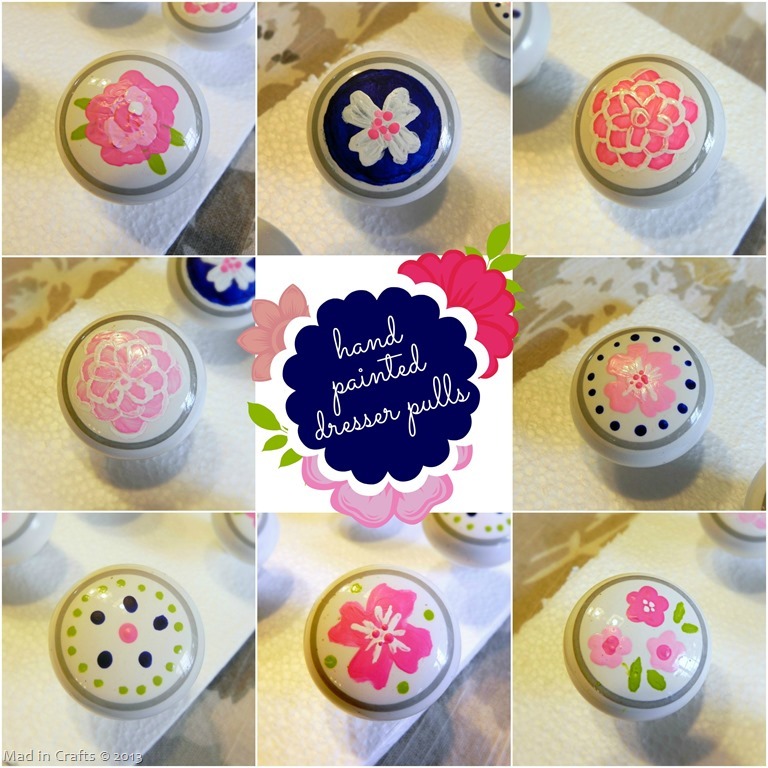 Hand painted pulls add a personalized touch to furniture and can make an inexpensive piece look more custom. I will show you just how easy it is to do! 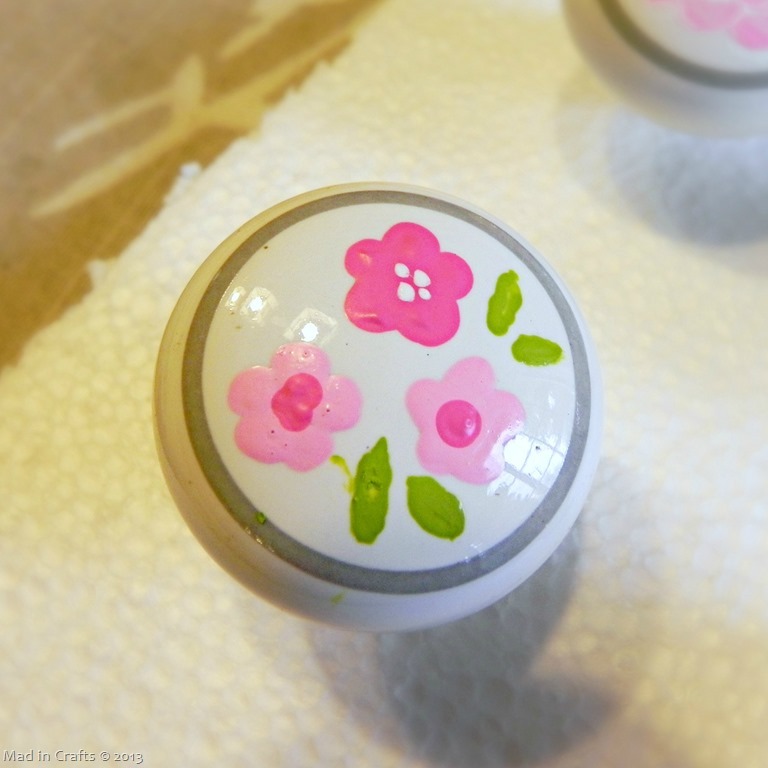 The drawer pulls on her new-to-us dresser were plastic and pretty ugly, so I was excited to be able to change them out for something that would fit in with her garden themed room a little better. I had purchased a ziploc baggie full of porcelain knobs at Goodwill for just a few dollars hoping to be able to use them for a project just like this. I busted out my paint brushes and craft paint and got to work. 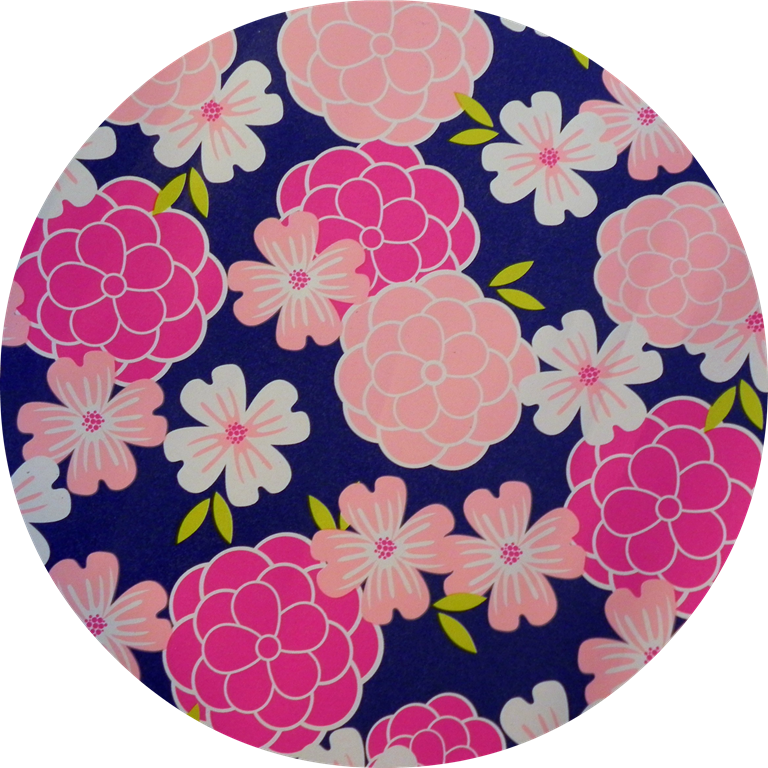 When I painted the knobs I was still mid-dresser makeover and was planning on using this pretty wrapping paper from Target’s Dollar Spot for the back of the dresser. 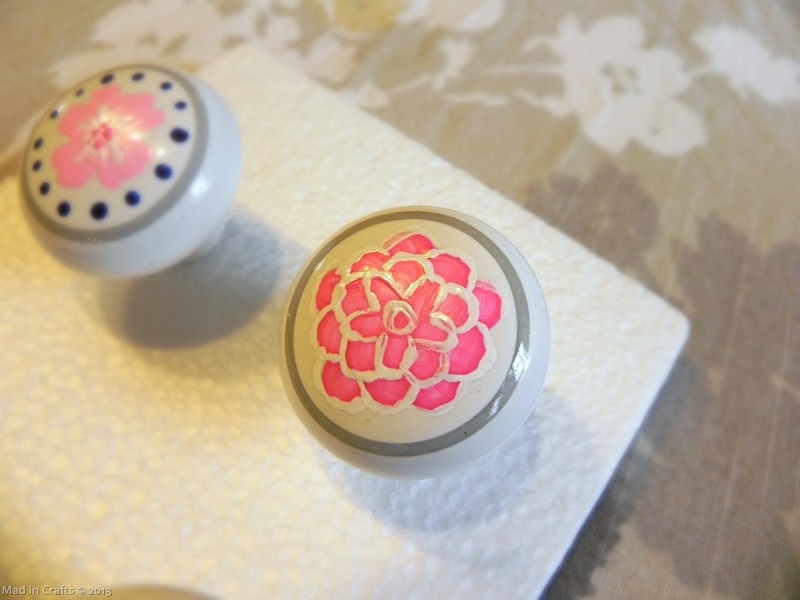 I created the designs on the knobs using it as inspiration. 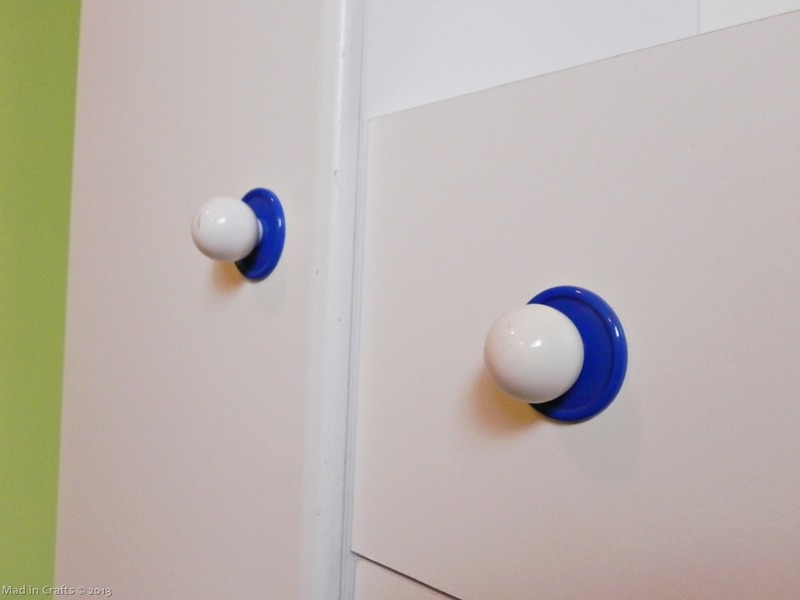 Even though I didn’t end up using this paper on the finished dresser, the knobs still fit in perfectly with the room! I pierced the screws from the knobs through a small piece of foam and screwed the knobs back down. This helped to keep them sturdy and upright while I painted and while the knobs dried. Each knob has a different design. I was able to make some dip dot flowers using the same technique that I did for my Spring dip dot flower votive. I used my smallest paintbrushes and layered in tiny details like leaves and outlined petals. It’s a small detail on the dresser, but I think it is the smallest details that count! Have you checked out the whole bedroom transformation? 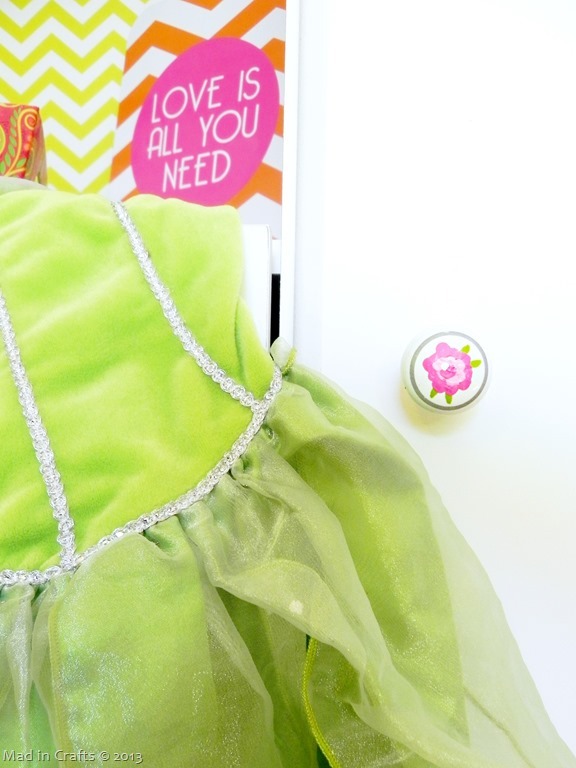 You can find her Fairy Garden Big Girl Bedroom here. I do not see the type of paint used. I believe that acrylic paints will not be durable on porcelain under such frequent use as a piece of childs furniture. What did you use? I did use acrylic paint, and five years later they are still holding up wonderfully!